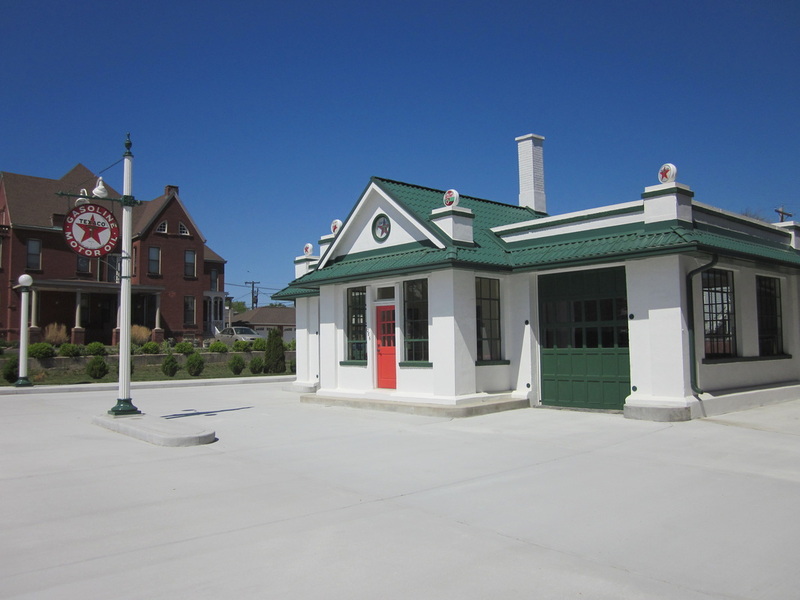 Welcome to the story of the restoration of a Texaco Service Station. I hope you enjoy the photos and information! Why did I take on this project? I drove past the deteriorated station many times a day over many years, and was struck by the building's charm, architecture, and possibilities. I finally decided to do something about it. This became a 6 year effort, dealing with environmental issues and design research, in addition to the obvious substantial renovation tasks. What will I do with it? The restoration did dramatically improve the appearance of the building, but did not prepare the building to satisfy modern commercial expectations. I plan to use the office area as a personal office space, and perhaps find an antique car to work on in a garage bay.